The first line of the receipt (recipe), To make a Tansie the best way, is Take 20 eggs, and take away five whites. I was preparing half the volume of the receipt and started with a total of 10 eggs. 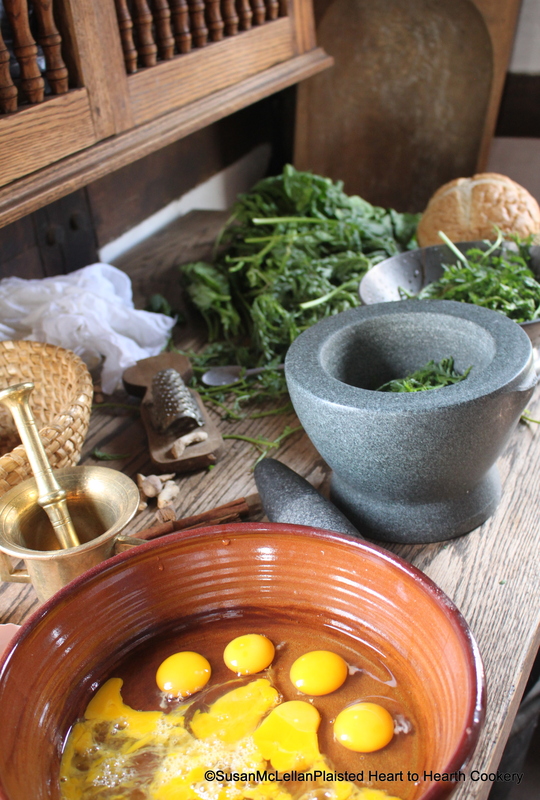 The tansy juice was prepared in the stone mortar and pestle.